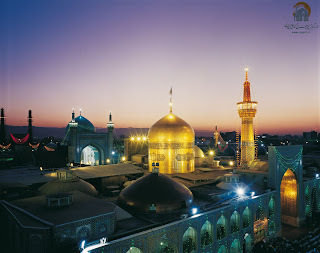 TEHRAN – The 13th Imam Reza (AS) International Festival will open today with a ceremony in Qom. Tehran along with over thirty other Iranian cities and 78 courtiers will host the event, Minister of Culture and Islamic Guidance Ali Jannati said in a press conference on Saturday. A vast array of art and cultural programs, film screening sessions, book fairs, exhibitions of artworks and seminars has been arranged for the 10-day program. The festival will be inaugurated with the birthday celebration of Hazrat Masumeh (SA), sister of Imam Reza (AS), at her holy shrine in Qom. “Iran’s cultural offices in different countries as well as public institutions will be hosting the event featuring a variety of programs,” Jannati said. “The programs for each country have been designed specifically for that country. That is, based on the art and culture of each country the programs may vary,” Jannati added. He also said that besides the Culture Ministry and the Islamic Culture and Relations Organization (ICRO), several other ministries and organizations including the Institute for Intellectual Development of Children and Young Adults (IIDCYA) and the Ministry of Science, Research and Technology are collaborating in organizing the festival. Jananti also elaborated on the activities of the foundation and said that over 60,000 cultural works have been produced for children and young adults over the past 12 years, while over 7600 artworks in addition to over 650 features and documentaries have been produced during the previous editions. “The foundation has also published over 60 books aiming to promote the tradition and ethics of Imam Reza (AS), which collectively are known as Razavi culture”, he added. Director of Imam Reza (AS) International Art and Cultural Foundation, Javad Jafari, who also was attending the conference, said that foreign guests will be attending the seminars to be held in Tehran on August 22 and 23. He added that eight foreign activists who have helped promote Razavi culture are to be honored during the program. Jafari also added that several national sections of the festival will be held internationally this year with guests from different countries. “Over 1800 letters from 40 countries have been submitted to ‘A Letter to Imam Reza (AS) Festival’”, Jafari said, adding that writers from different countries are also participating in the Razavi Book Year Awards this year. “Arab poets will be reciting their poetry in Arabic in honor of Imam Reza (AS) in the Razavi Poetry Festival to be held in several Arab countries,” he explained. The closing ceremony will take place in the holy shrine of Imam Reza (AS) in Mashhad on August 26, to celebrate the birth anniversary of the eighth Imam of the Shia Muslims.